Good evening. I recently formated my computer and had to redownload UE along with a bunch of other stuff. 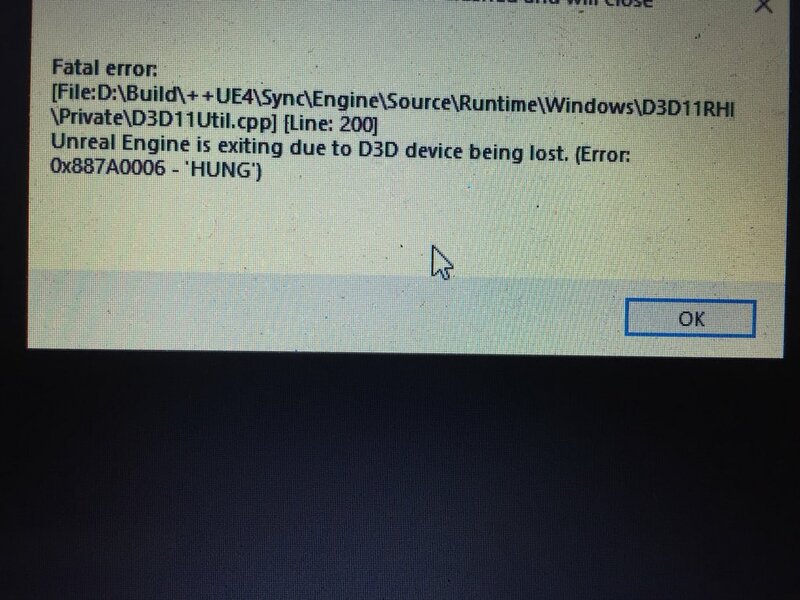 When I recently tried to launch UE to work on my project it straight up crashed on launch. Everytime it gave me a crash report, but not much other than that. I verified the installation and did redownload some things, but the thing is it seems like it hasn't helped much, so I'm posting my crash report here. If it matters at all, I'm running UE along with the Epic games launcher on a 500g WD Black instead of the SSD my OS is on. Any help or hints as to what to do next is much appreciated. Thank you very much for your time. This is fixed for 4.9; if you're compiling from source I can let you know how to fix this (basically remove that line where it crashes). We're looking into making this a hotfix. NOT FIXED IN 4.20.1 !!!!! I STILL GET THE ERROR ON MY LAPTOP WITCH I NEVER HAVE !! !